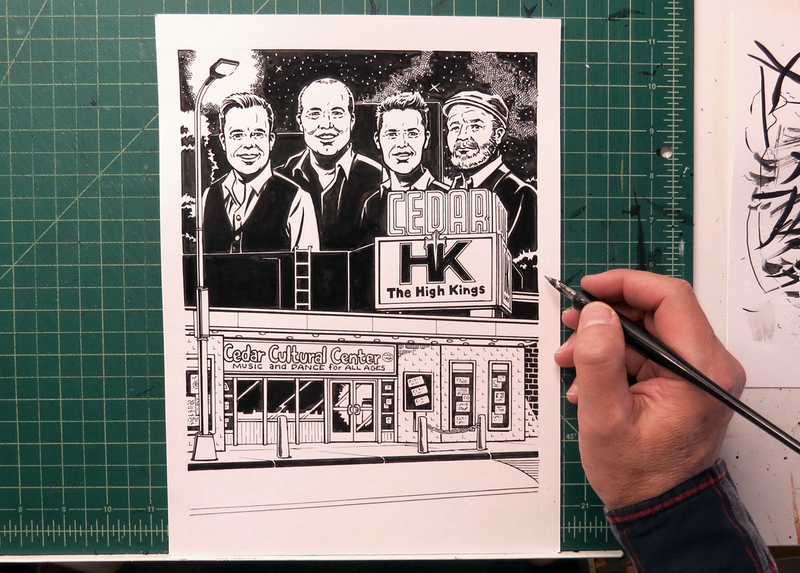 Being that I am the totally unauthorized official Minneapolis artist for the famed High Kings, I thought I’d show you some art I did for their upcoming show at the Cedar Cultural Center. So first, here’s the inks. And here it is cleaned up with type and color put in digitally. 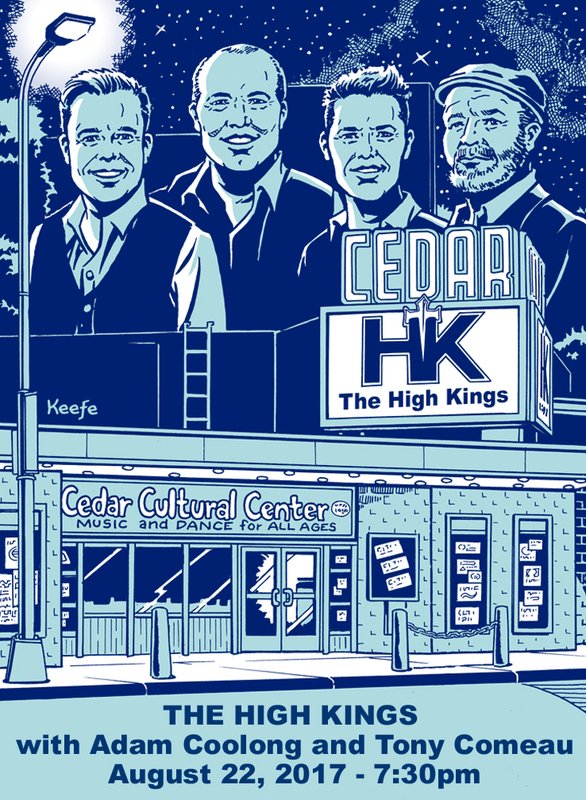 This entry was posted in Ramblings & Reviews and tagged Cedar Cultura Center, The High Kings. Bookmark the permalink.